This attack hits all of your opponent's Pokemon- even the Benched ones! Flip a coin. If heads, the target Pokemon is now stunned. If tails Snow Bowl Kirby loses 20 Hp. 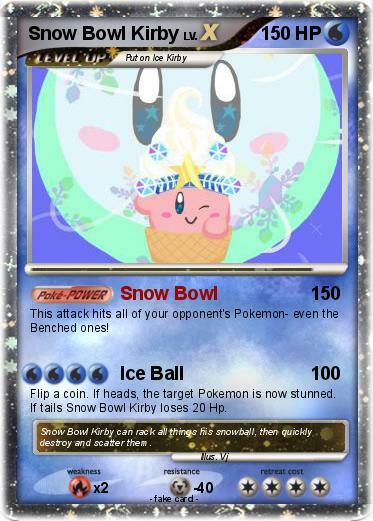 Comments : Snow Bowl Kirby can rack all things his snowball, then quickly destroy and scatter them.